What does it mean that we are in union with Christ? What are the benefits from being united with Christ? What are our obligations toward fellow believers? All saints...are united to Jesus Christ (e.g. Eph. 1:1, 4; Phil. 1:1; Col. 1:2). They are in Him and identified with Him. To be united to Jesus Christ means that they have fellowship in His graces, sufferings, death, resurrection, and glory (Rom. 6:1-6; Col. 3:3-4; 1John 1:3). They are united with Him in these aspects. For example, the case of His death and resurrection, it is like we died and rose again with Him. We did not literally and physically die with Him, but since we have been united to our Head, whatever He does or did on our behalf is counted as our own. This union with Jesus Christ is by His Spirit, and faith (Eph. 3:16-17; 2Cor. 3:17-18). There is no other way in which we can be united to Jesus Christ and experience the benefits of this union. In all of this, we do not become one person with Him. We still remain us and separate from Him, but we share in Him and are one with Him spiritually and by virtue of His headship. This union to Jesus Christ goes beyond us and the Lord. In fact, after we have been united to the Lord, we are united one another in love (John 13:34-35; Eph. 4:15). Union with Christ does not only make us one with the Lord, but also it unites us to others who are one with the Lord. In the same way, we share and have Communion in each other gifts and graces. We seek to serve each other and bless others with the gifts and graces which God has bestowed upon us. We are, in fact, obliged to the performance of such duties which conduce to our mutual good (Rom. 1:12; 12:10-13). This duty is public and private, and it does not only concern spiritual things (in the inward...man), but also physically providing for those lacking supply and in need of help materially (in the...outward man). ... He is “most loving, gracious, merciful, long-suffering, abundant in goodness and truth, forgiving iniquity, transgression, and sin”. The love of God is infinite for His people in that He predestined them in love (Eph. 1:4-5) and because of love He sent His Son into the world for us (John 3:16). God’s love for the elect is an everlasting love, which extends from eternity past to eternity future. It is the same kind of love which the Father has for the Son (John 17:26). This is what is to me mind-blowing. The Father loves the elect in the same way that He loves the Son. It has pleased the Trinity to create and redeem so that we may enjoy and join the Trinity in their loving Communion and live with Them. ...converted. In their unregenerate state, the elect are not part of the universal church until they are gathered into Christ. Christ is the head (Col 1:18) and the church is the spouse (Eph. 5:25), the body (Col 1:18) and the fullness (Eph. 1:23) of Christ. ...a sign of...fellowship (e.g. Gal. 3:27) and union with Christ for the party baptized. Baptism is a sign, i.e., something visible representing something invisible (union with Christ). Baptism signifies our fellowship with Him, in His death and resurrection (Rom. 6:3-5). As we are submerged in the water, we picture the Lord's death and ours. As we come out of the water, we picture the Lord's resurrection and ours. Baptism our union with Christ or as it is here called our being engrafted into Him (Gal. 3:27; see chapter 27). It signifies the washing away or remission of sins (Acts 22:16 ). It also signifies our giving up into God or our determination to submit to God, through Jesus Christ and to live and walk in newness of life (Rom. 6:4 ), which we have received from the Lord and which baptism pictures. Notice that baptism is called a sign and not the cause or an instrument of fellowship with Christ. It does not cause those things enlisted, but pictures these realities visibly. Which brings us to the subjects of Christian Baptism in the next paragraph. We are children of God, why? Because we have been baptized into Christ. What does this mean? It means that we identify with Christ and we declare that we belong to Him. What is the meaning of “have put on Christ”? This means that we “have put on his sentiments, opinions, characteristic traits” (Rom. 13:14). We are identifying with Him and saying to those watching that we belong to Him. To Paul's argument, this then would mean that all who are baptized into Christ are children of God because they have put on His characteristics. They identify with Him. Jamieson, Fausset, Brown give the input of Paul's argument well when they write: “By baptism ye have put on Christ; therefore, He being the Son of God, ye become sons by adoption, by virtue of His Sonship by generation. God regards us in Him, as bearing Christ's name and character, rather than our own.” These are realities which baptism signifies, but are not caused by water baptism. The baptism into Christ is not the same as water baptism in the name of Christ. But we will see why that is the case below. ...t (John 6:63; Ezek. 36:25-27). Faith is our response to the call of God, but it does not originate with us. It is granted to us by God and it is worked in us by the Holy Spirit through regeneration and the creation of the new man in Christ. It is ordinarily wrought by the ministry of the Word (2 Thess. 2:13; 1Pet. 1:23), i.e., by the preaching of the Gospel coupled with the work of the Spirit of Christ. This faith is further strengthened by the means of grace. These are the Gospel ordinances, baptism and the Lord’s Supper. But also prayer, Bible reading and study, the Communion of the saints and other things prescribed and commended in the Word of truth. By these means, faith is not created, but it is increased and strengthened. We have already argued that faith is a gift in chapter 11 on Justification. It is something that God gave us to exercise. We Calvinists do not believe that God believes for us, but that our faith finds its origin in God and comes to us through regeneration (1John 5:1, see our discussion on this passage). By this faith, which is granted to us (Phil. 1:19) by the grace of God, we believe and are justified. The Word tells us that "whoever believes in him should not perish but have eternal life" (John 3:16). We believe, are justified and received into the arms of God (Rom. 1:16-17; 5:1; 10:9). Again and again we are told that we are justified by faith (e.g. Rom. 3:28-30; 4:5-10; 9:30; 10:4; 11:6; Gal. 2:15-16; Phil. 3:9) and then we understand that even our faith was by grace granted to us by God (Eph. 2:8-9; Acts. 3:16; 18:27; 2Pet. 1:1). So that we can truly say: Soli Deo Gloria! There is no contribution on our part for our salvation except the sin that made it necessary, as Jonathan Edwards said. It is through the Word of God that regeneration came and we became Christians. It is not without the Gospel that we became Christians. But it is through the Spirit of God working on our hearts in many ways through Bible reading, discussions and the proclamation of the Gospel, which is the power of God unto salvation, among other things that God uses to saves us. Peter says that "this word is the good news that was preached to you" (1Pet. 1:25). 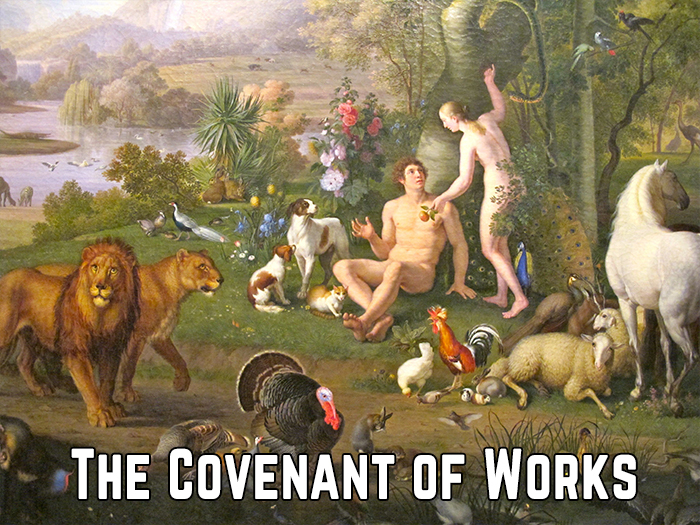 It is through the Gospel that the Sovereign Lord chooses to work. ...rit to Galilee, and a report about him went out through all the surrounding country. Acts 2:33 Being therefore exalted at the right hand of God, and having received from the Father the promise of the Holy Spirit, he has poured out this that you yourselves are seeing and hearing. The Spirit of God came upon the Lord Jesus to enable Him and anoint Him to do the work of God. In the same manner, the Spirit comes upon them that are dead in sin and makes them alive in Christ. He prepares us to do the work of God just like He prepared our Lord. He is the fountain of all that is good. He is the fountain of all knowledge and wisdom. This statement is based on Colossians 2:3. Col. 2:1-4 For I want you to know how great a struggle I have for you and for those at Laodicea and for all who have not seen me face to face, 2 that their hearts may be encouraged, being knit together in love, to reach all the riches of full assurance of understanding and the knowledge of God's mystery, which is Christ, 3 in whom are hidden all the treasures of wisdom and knowledge. 4 I say this in order that no one may delude you with plausible arguments. Prov. 1:7 The fear of the LORD is the beginning of knowledge; fools despise wisdom and instruction. Prov. 9:10 The fear of the LORD is the beginning of wisdom, and the knowledge of the Holy One is insight.